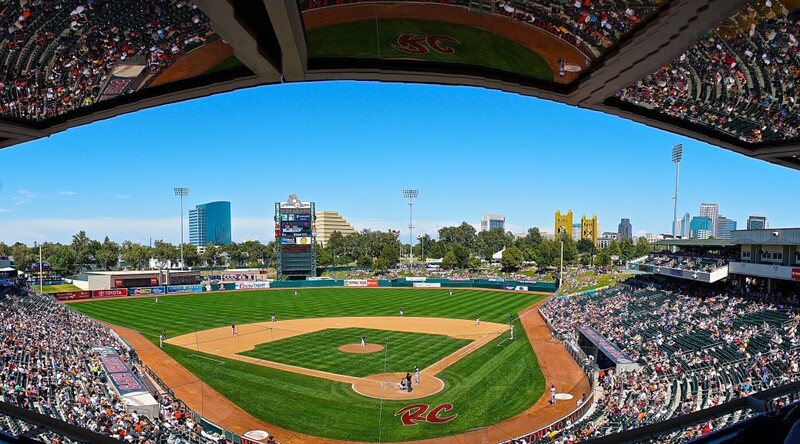 SACRAMENTO, Calif. – Playing in a record-setting 105-degree temperature this season at Raley Field, the Sacramento River Cats sweated out game one of the series against the Salt Lake Bees by a score of 4-0. Starter Nik Turley extended a streak of solid starts as he led the River Cats to their third shutout of the season and second in less than a week. Turley pitched six dominant innings for the third consecutive time en route to Sacramento’s third shutout win of the season. The southpaw scattered just 3 hits and 1 walk across 6 innings while striking out a season-high eight. He threw 84 pitches, 55 of them for strikes. This marks Turley’s first win of the season at Raley Field, improving his home record to 1-2 in four home starts. After this performance, Turley has now allowed only two runs in his last 18.1 innings, good for a 0.98 ERA. He has struck out 18 and walked 3 during that time. More impressively, Turley’s last two starts have led to River Cats’ shutout wins. They have just three on the season. Overall, Turley is now 3-2 with a 5.45 ERA for the season. Ryan Lollis continued his torrid streak at the plate, reaching base three times and driving in a run. The left-hander extended his hitting streak to six games with a first-inning single and is now hitting .364. He notched an RBI for the third consecutive game with a run-scoring single to right in the seventh. Over his last ten games, Lollis is hitting .415 (17-for-41) with five doubles, a triple, a home run, and five RBIs. The River Cats first got on the board in the bottom of the third inning when Adam Duvall doubled on a line drive to left field. He scored two batters later on a Darren Ford single. Mac Williamson scored later in the inning on a Brett Jackson groundout. Sacramento added another in the seventh on Lollis’ single and their fourth run of the night came on Trevor Brown’s RBI-single in the eighth. The Bees’ right-hander Corey Rasmus took the loss (0-1, 4.50) in what was his fifth rehab start for Salt Lake. He went 2 innings, allowing 4 hits, 1 run, 1 walk, and 1 strikeout. Sacramento’s Cody Hall picked up the three-inning save, his second of the season, with Turley (3-2, 5.45) getting the win. Game two of the series is set for tomorrow at 7:05 p.m. PT. Jack Snodgrass (1-1, 4.22) will make his first start since joining the River Cats from the Double-A Richmond Flying Squirrels on June 6. Snodgrass will be facing the Bees starter Drew Rucinski (3-4, 5.43).